This blog is maintained by the members of First Church of Christ, Scientist, Canberra. Christian Science rests entirely on the affirmation from the Bible that “God is love” (I John 4:16). Those who practice it strive to live the bold, compassionate, pure, generous love that Christ Jesus embodied and taught in his Sermon on the Mount (Matthew 5–7). This is the heart of its Christianity. Christian Science is also a science. It explains the spiritual laws of Love that enabled Jesus to heal sickness and sin. This divine Science also answers our fundamental questions about evil, reality, and eternal life. And as the word science implies, it is reliable, consistent, and provable, bringing healing to individuals and humanity through a deeper understanding of God. The Sunday service is held at 10.00 am and goes for approximately one hour. Our church in Canberra is located on the corner of Macquarie and Bligh Streets in Barton. Our Sunday School is also held at 10.00 am on Sunday. The Sunday School welcomes children and young adults up to the age of 20. In small discussion groups, participants explore the application of spiritual principles in daily life and individual spiritual growth. The curriculum is based on the Bible, with Mary Baker Eddy’s book, Science and Health with key to the Scriptures used, to shed light on biblical teachings. Students are encouraged to ask questions and to discover how to put into practice the concepts they learn. Very young children, while incorporated into the Sunday School, are cared for in the play room. Every Wednesday at 6.00 pm we hold a Testimony Meeting. Each meeting begins with readings selected from the two books designated as the Pastor of Christian Science: The Bible and Science and Health with Key to the Scriptures by Mary Baker Eddy. A new topic for the readings is selected each week. If you are in Canberra on any Wednesday please join us. A Reading Room and bookshop is also located with the church at the corner of Macquarie and Bligh Streets, Barton. The Reading Room is open to the public for study, prayer and quiet contemplation. Monday-Friday 11.00 am – 2.00 pm. 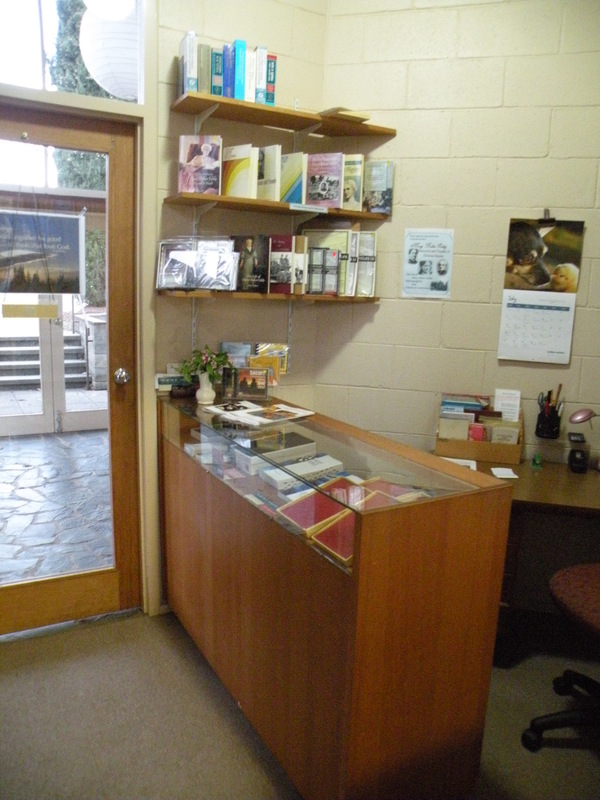 Books, including the Bible, as well as periodicals and CDs are available to read and purchase. A weekly Bible lesson can also be studied in the quiet of the Reading Room. Publications such as weekly Sentinel magazines, monthly Journals and the international news magazine, The Christian Science Monitor are available. It is a highly regarded news source used by governments, businesses and the general public around the world. Science and Health with Key to the Scriptures by Mary Baker Eddy is the textbook of Christian Science. It is Eddy’s primary work which contains the full of explanation of Christian Science and its biblical foundation for spiritual regeneration and healing. Healing has always been an integral part of Christian Science practice and is the natural result of spiritual growth. The periodicals in the Reading Room contain verified records of healing of disease through prayer, as well as people’s experiences of finding safety, freedom, security and happiness. A librarian is available to help or answer any questions you may have. Everyone is welcome. Is there a lecture upcoming? No, probably not until the autumn. I have responded via email. Thank you for your interest.